Since November of 2012, all the articles printed in the Beacon each month — plus many other articles that wouldn’t fit in the printed newspaper — have been stored in this Web site. To search the entire Web site for a word or a phrase, use the “Search in site…” field at the top of any page. 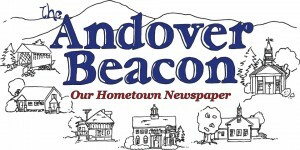 The Andover Beacon has been printed in its current form since October of 2004. Printed issues from the latest issue back to the first issue in October 2004 were archived as PDF files and are available below.